Fridley Middle School and Fridley High School are IB World Schools offering the International Baccalaureate Middle Years Programme (MYP). All 5th - 10th grade students participate in the MYP. 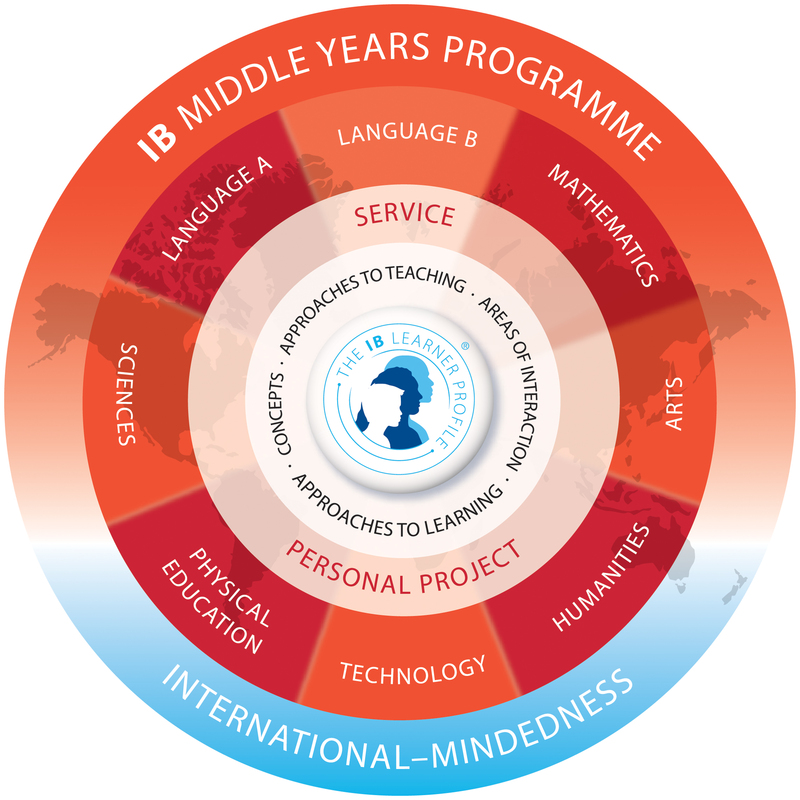 The IB Middle Years Programme (MYP), for students aged 11 to 16, provides a framework of academic challenge that encourages students to embrace and understand the connections between traditional subjects and the real world, and to become critical and reflective thinkers. In the final year of the program, students also engage in a personal project, through which they will demonstrate the understandings and skills they have developed throughout the program. HOW IS THE MIDDLE YEARS PROGRAMME UNIQUE? We encourage international-mindedness in IB MYP students, starting with a foundation in their own language and culture. We encourage a positive attitude to learning by challenging students to solve problems, show creativity and resourcefulness, and participate actively in their communities. 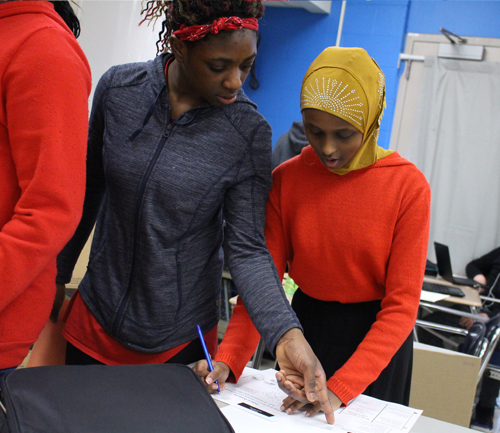 We reflect real life by providing a framework that allows students to see the connections among the subjects themselves, and between the subjects and real issues. 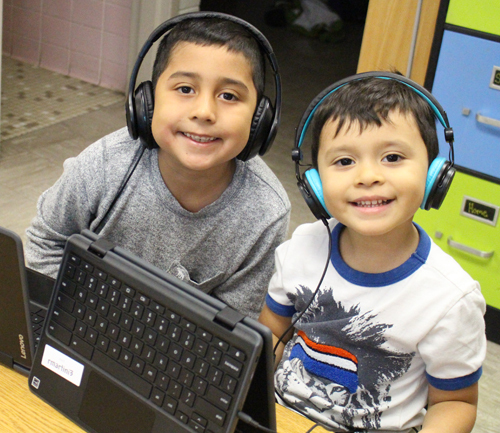 We support the development of communication skills to encourage inquiry, understanding, language acquisition, and to allow student reflection and expression. Through the learner profile, we emphasize the development of the whole student—physically, intellectually, emotionally and ethically. Teaching and learning in the MYP is conceptual. It is focused through powerful organizing ideas—KEY CONCEPTS—that have importance within and across subject areas. These key concepts are big ideas that reach beyond national and cultural boundaries. Using these concepts as a point of entry for inquiry, students will engage with complex ideas and develop deep understandings that transfer to new contexts. The sixteen KEY CONCEPTS of the MYP are found in the chart below. Global contexts in the MYP connect learning in all subject groups to powerful themes of global significance. They serve as common points of entry for inquiry and promote international mindedness. For each unit, teachers will identify one global context that establishes a focus for meaningful teaching and learning.